After a team from Atlantis goes missing, the expedition finds itself in the middle of a Genii coup. During the weekly visit to a friendly planet, Major Lorne’s team is attacked. The building where they were having tea was destroyed following an attack from unknown assailants with what sounded like Wraith blasts. Dr. Lindsay reaches the Stargate to call for help, and leads Colonel John Sheppard’s team to find charred bodies inside the building. Their dog tags identifying them as Major Lorne and his team. Through the Stargate, a Genii soldier, Ladon Radim, contacts Elizabeth Weir with a video transmission. He reveals that the Genii know Atlantis was not destroyed because they’ve seen various teams traveling to and from other planets. Weir recognizes Ladon as a member of Commander Kolya’s previous strike force, which attempted to seize Atlantis last year (“The Storm,” “The Eye”). Ladon tells her he has defected from the Genii — and he has a Zero Point Module (Z.P.M.) to trade. Rodney makes the case that getting a Z.P.M. outweighs upsetting the Genii government, with whom Dr. Weir has negotiated an uneasy peace (“The Siege, Part 2”). They send through a M.A.L.P. to Ladon’s planet, and he invites them to search him. Soldiers return to Atlantis with Ladon in tow, and he informs Weir that he is leading a coup d’etat against Cowen and the Genii government. In exchange for the Z.P.M. he wants machine guns, grenades, and C4 to overthrow Cowen and to stop the Genii from using their nuclear weapons to attack other worlds. At the village on the planet where Lorne’s team was killed (designated “177”), Ronon and Teyla go to a bar to follow up the investigation. There are spies watching who will kill anyone who talks. Having no luck, they leave. But the barmaid catches up to them with a satchel they apparently left behind; it is a ruse to pass information, which turns out to be reward posters for the capture of key Atlantis team members, including Lorne and his team, Sheppard, and McKay. Examining the photographs, Ronon realizes these have been distributed on numerous worlds. Ladon tells Weir that Cowen has dreams of conquest to unite the galaxy under one leader in the fight against the Wraith — himself. Kolya is missing and Ladon suspects Cowen had him murdered. Ladon says he obtained the Z.P.M. from the Brotherhood of the Fifteen, where Sheppard and Kolya tried to kill each other to get it (“The Brotherhood”). Ladon pretends to be idealistic but everyone is suspicious. 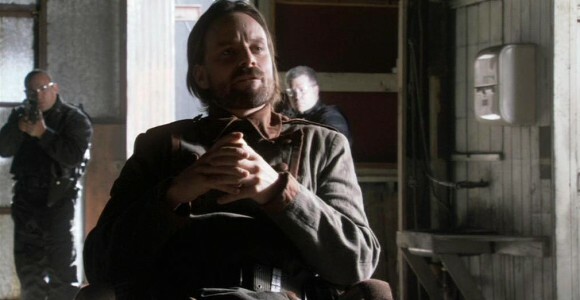 As an act of good faith to a tentative ally, Weir decides to send Sheppard and McKay to contact Cowen. On the Genii homeworld, Cowen genially meets them in the tunnels under the surface. He says they were heavily culled by the Wraith and are rebuilding, and have no ambitions to conquer the galaxy. Sheppard tells Cowen about Ladon’s accusations. Cowen isn’t worried, since Ladon doesn’t have enough resources. And he promises to keep the secret of Atlantis surviving the Wraith attack as his act of good faith. Sheppard offers supplies to help rebuild since the Genii supplied the nuke used in the ruse to make the Wraith think Atlantis was destroyed. In a cloaked Puddle Jumper, special ops teams followed Ladon to a base on another planet. Sheppard proposes a raid to get the Z.P.M. By luring some of the Genii rebels to Atlantis to trade for the Z.P.M., Sheppard figures he can then reduce the manpower at the base and successfully recover the Z.P.M. Dr. Carson Beckett determines that the bodies are not Major Lorne’s team. The people were already dead from radiation poisoning — Genii. The Genii rebels arrive without the Z.P.M., so Weir detains them. But it doesn’t matter: they are terminally ill with radiation poisoning and did not plan to ever return home. Dahlia Radim, Ladon’s own sister, is one of them. Weir realizes that Sheppard is walking into a trap. Ladon knew there would be a raid and double-crossed Sheppard. Ladon, waiting with a dead Z.P.M. (which the Genii found in their archives, and did not steal from the Brotherhood), captures Sheppard’s assault team using knockout gas. When Sheppard wakes up Cowen is there. He explains that Ladon still works for the Genii — there is no coup. He is also holding Lorne and his team captive, and very much alive. Cowen radios Atlantis and demands ten Puddle Jumpers in trade for the Atlantis teams. She has one hour to deliver the ships until they start killing the hostages, starting with Sheppard. The Genii, however, can’t fly the Jumpers because they don’t have the Ancient gene. They captured Lorne’s team in order to experiment with their own Ancient gene therapy. The circulated wanted posters were for Atlantis personnel with the Ancient gene, to aid their experiments. Major Lorne’s team was probably turned in for the reward offered. Sheppard is locked up with Lorne and the others. Dr. Weir tries to negotiate with Cowen, telling him they can cure many of the Genii hostages — including Ladon’s sister. Cowen tells her he doesn’t care, and sends Ladon to kill Sheppard. But Ladon has other plans, especially now that he knows his sister can be cured. He intends to detonate a nuke hidden under the building. But first he rescues Sheppard and his men, escaping with them to Atlantis. Over the radio, Cowen is stunned to learn that he himself has been double-crossed; there really is a coup in the works after all. The nuke detonates, killing Cowen and his elite guard. Ladon is reunited with his sister, and Dr. Beckett successfully operates on Dahlia for a malignant lung tumor. Weir offers to cure as many Genii as they can, as long as the coup doesn’t cost any more lives. Ladon promises a more friendly relationship Atlantis and thanks Weir for helping his sister. But Weir is afraid that the new leaders of the Genii will be as bad as the old. Sheppard reminds her that Ladon did rescue him and return their people. So maybe there is hope. VOTE! How would you rate Atlantis's "Coup D'etat?"